Mark, the owner of this Ford Mustang, had to shift his attention away from his Boss 302 a few decades back when schooling and family became his main priority. Now that he’s got more time and resources to invest in it, he’s ready to get the Mustang rolling under its own power once again. It may look great on the outside, but there’s a reason this Boss hasn’t seen the road at any time in recent years - it’s got a few major issues that need to be resolved first. Mainly, it needs a new gas tank, brakes, master cylinder, heater core, and likely various other things that would go unnoticed without driving it. 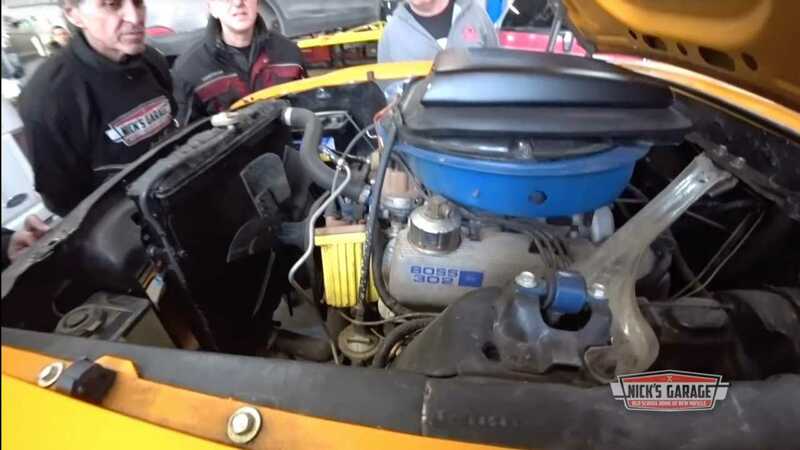 While at Nick’s Garage in Laval, Quebec, the car’s issues will be fixed, and the engine completely refreshed to make sure the car will then be roadworthy. 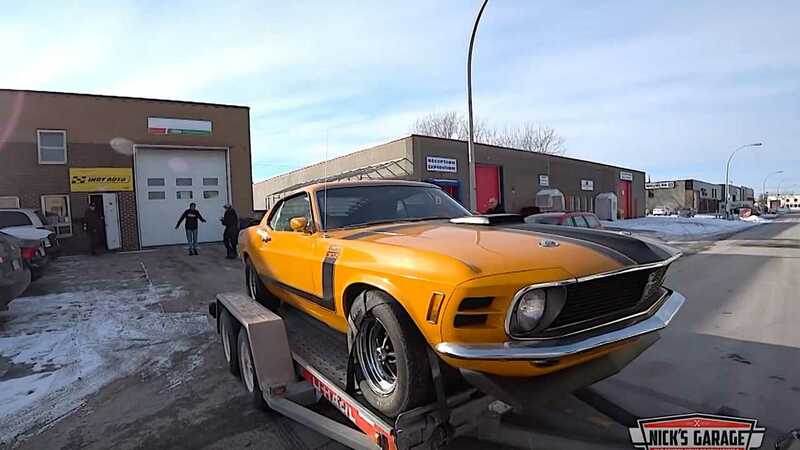 When the Mustang got backed into the shop on the car trailer it travelled there on, it was immediately clear that it would need a lot of help to get it to the point where it would pass inspection. Without pulling the engine and doing a tear down, it’s impossible to know what other work is needed to the engine, transmission, rear end, and if any electrical demons will make this a challenging build or not. The mileage on the car isn’t addressed in the video, but considering the owner has had it in their possession for 30 years, and only drove it five of those years, it’s safe to guess it doesn’t have that many miles logged. A few years back, Mark's brother had his car, a Plymouth Cuda 440 six-pack, worked on by the same shop to get it up to snuff, so Nick’s Garage has become an important element for this family of gearheads to get their muscle cars back on the road.